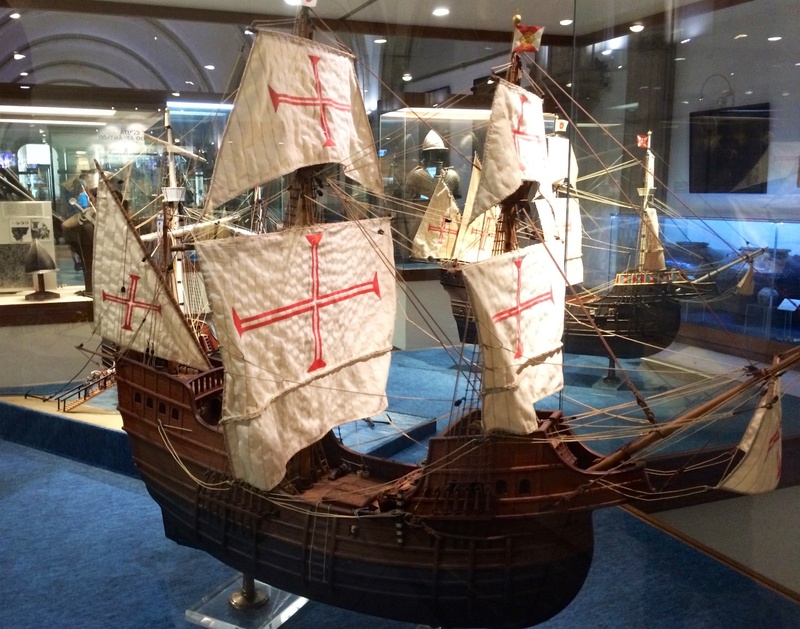 Replica model of a Portuguese Nau. The revolutionary ship that allowed for trans-atlantic sailing, and the type of boat Colón would’ve used. I love museums. I get that when on vacation, it’s not always everyone’s thing, but I really love exploring them. Museums hold so many secrets about history… many of them hiding in plain sight. When Susete and I were wandering through the World of Discoveries attraction in Porto (me->excitedly, Susete->reluctantly), I noticed a curious thing at a display listing the great explorers of Portugal’s navigational golden age. Cristovão Colón was listed, with details of his voyages. Christopher Columbus… the man who we’ve always been told had “discovered” the Americas in the name of Spain, and was an enemy of Portugal… yet, the Portuguese have always claimed him as their own. So, why would the Portuguese not only lay claim to, but also pay tribute to a man who supposedly gave the greatest gift to their most mortal enemy throughout history? The answer to this question lies in the many inconsistencies of the traditional Columbus story. I touched on many of them in the first article of this subject, and now I’ll lay out what the newer theory is, with the evidence supporting it. Diorama in World of Discoveries, Porto. 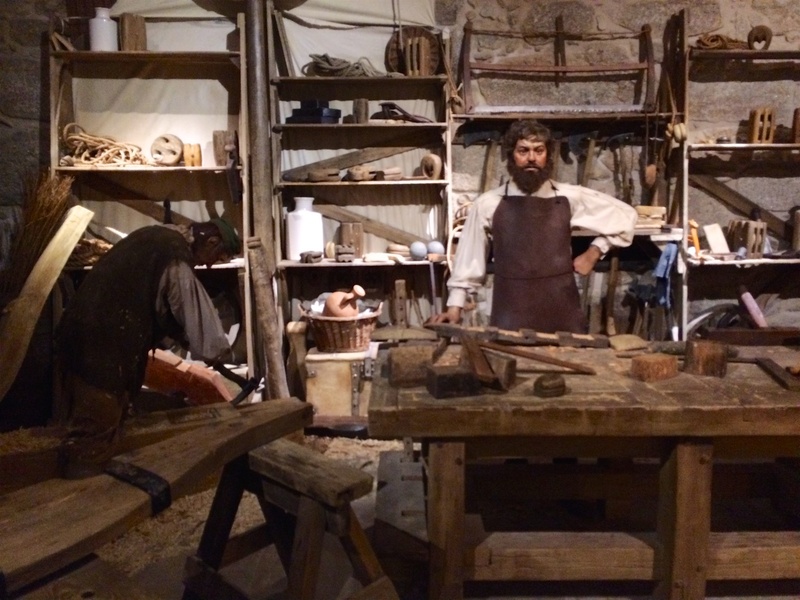 Showing a workshop from the time of Portuguese ship-building. In my previous post, I mentioned that it’s historian Manuel Rosa that is leading the way in recreating the old tale of Columbus. There’s always been rumours of various conspiracies, but with over 21 years of research on the subject, Rosa has been the first one that’s used a scientific method without a forced direction and has been able to produce the most amount of legitimate evidence supporting a new theory. Historically, Colón has always been portrayed as a poor wool-weaver, a lucky explorer, and a completely inept navigator. A lot of this comes from the fact that we’ve been told his math was totally off, and his own personal journals are full of inconsistencies. Rosa points out that these inconsistencies were not mistakes by someone who has no clue what he’s doing, but they were completely intentional. Colón was Portuguese. His name, “Cristovão Colón” was just a pseudonym, a code name, false identity…. whatever you want to call it… it wasn’t his real name. There are debates as to his true identity, but that just shows how good he was at his job. During the 14th and 15th century, the world was rapidly changing. The Ottoman Empire had taken strong control over the southern half of the Mediterranean, as well as the entire middle east, after defeating the Byzantines in Constantinople (now, Istanbul). The Islamic world now controlled the Silk Road trade routes with the east (India, China, Japan and everything in between). After centuries of holy wars between European Christians and Muslims, the Ottomans cut off European access to these trade routes to create a monopoly on them. Europeans had always been exploring the oceans, but this rapidly led to a mad frenzy to find a sea route around the Ottomans, to get access to China and India again. At the time, Lisbon was the leading centre of the navigational world, with the Portuguese having the most advanced technology and knowledge of the Atlantic seaboard. Portugal’s King João II hatched a plan to plant one of his most able navigators and trusted spies into the newly forming Spanish court of Isabel of Castille and Ferdinand of Aragon. João already had spies taking land routes in the middle east, even going as far as India, so he already had knowledge of the coast around East Africa and the Persian Gulf…. they just had to get there. With Portugal’s knowledge of a possible sea route around Africa to get to the sought after treasures of the East, João’s plan was to send the Spanish in a completely different direction. 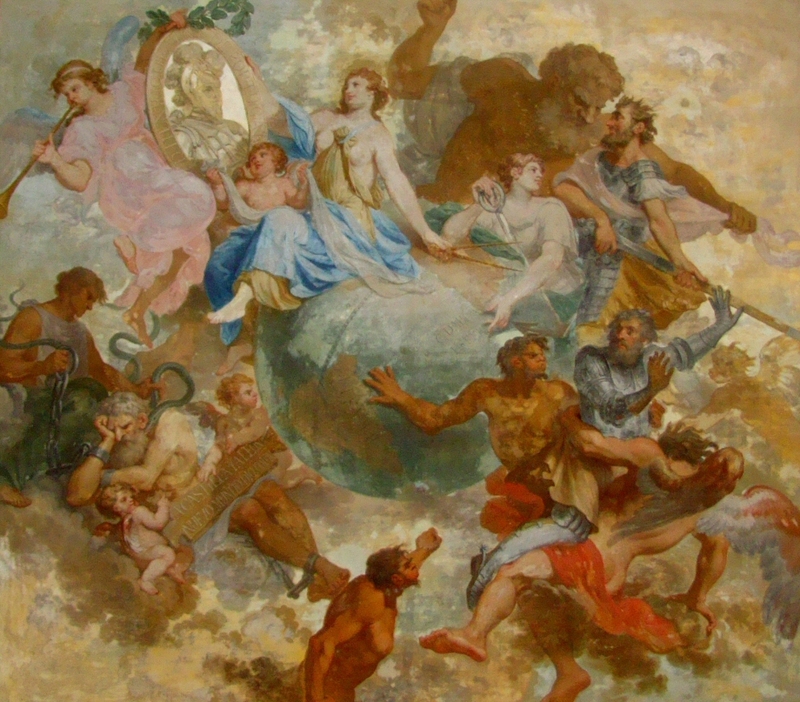 Painting in Mafra Palace, Portugal, paying tribute to important explorers in Portuguese history. Out of the 4, only Infante Henriques (Henry the Navigator), and Cristovão Colón are clearly identified. Why would Colón be in this painting if he wasn’t important to Portugal? Colón was not only Portuguese, but he was of noble birth. When a plan (supported by Isabel) to assassinate King João failed, he took this as an opportunity to send his spies to Castille. Many of the conspirators who weren’t caught, defected to Isabel’s court and Colón inserted himself into this group. His nobility allowed him to work his way through the court, right up to the King and Queen themselves. He told them a story that he first tried to pitch his plan to sail west to King João, but was rejected humiliatingly, and joined the coup attempt as he and João were now enemies. Secretly though, Colón and the Portuguese king kept in close contact throughout Colón’s time in Madrid and Seville, at the Spanish court. Letter from João II of Portugal to Xpofõm Colón “Our special friend in Seville”. Colón presented various maps, calculations and even a globe showing proof that his plan to sail west will get the Spanish to India the short way around, giving them access to the most coveted trade route in the world. Even with no proof of prior successful explorations, Isabel eventually agreed to support Colón’s adventure, setting him off on the eve of the launch of the Spanish Inquisition (convenient timing as we’ll see later). 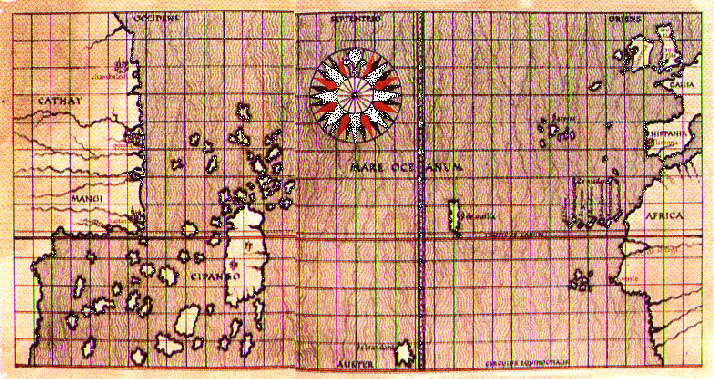 Colón landed in the Caribbean, now believed to be the Bahamas, and marked the land for Spain. He called the natives “Indians” in order to lead Isabel to think that he landed in India as he promised. However, there was none of the gold or spices that they were set out to look for, so he needed to be able to justify this to his monarchs. Toscanelli’s map from 1474. Formulated his idea that India & China were close and reachable sailing west. Colón set up a fort (Navidad) on land, brought his flagship, the Santa Maria aground and as he wrote in his diary, blew a hole in it with a cannon to show the natives (the Taino) that he had enough power to defend them against other island tribes (the more warlike Caribs). With one less ship, he then left 39 of his men back to man the fort… including the three representatives of Queen Isabel’s court, so that they couldn’t report back any inconsistencies in Colón’s stories. He also took all his pilots back with him, so that the Santa Maria couldn’t be repaired and sailed back. 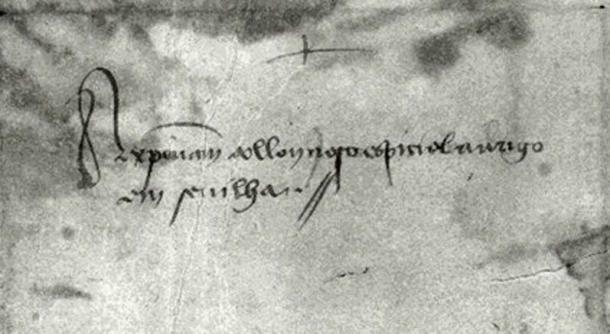 “Memorial Portugues” – A letter to Queen Isabel of Castile from informing her that she’s been duped by a spy (Colón). 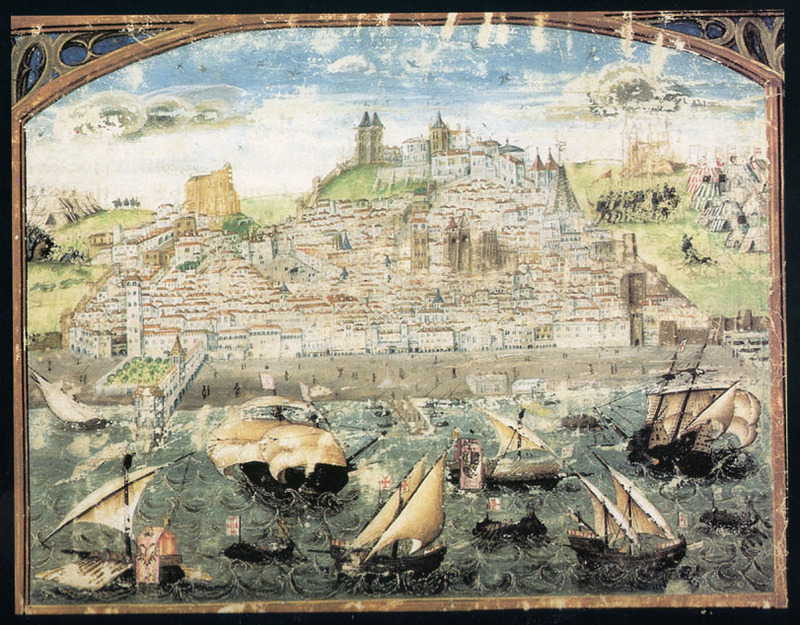 On his return to Europe, Colón first stopped in Lisbon for 10 days, where he met with King João II to inform him about the success of his voyage and formulate the follow-up plan. He then returned to Spain and reported back to Isabel and Ferdinand, telling them that he found the route to India (although he had no gold or spices to give them). He continued on with 3 more voyages, exploring around the rest of the Caribbean, naming the islands after both Spanish and Portuguese place names. Upon landing in Cuba, he made his crew sign an oath to always say that Cuba was India, or have their tongues cut out. Oh, and Cuba is named after the Portuguese town of Cuba… no other city in the world at the time had that name. In 1494, under the supervision of the Pope, Portugal and Spain signed the Treaty of Tordesillas, dividing up the world, giving access to the lands west and north to Spain, and the lands south and east to Portugal. King João stalled negotiations and had the treaty revised so that the dividing line was much further west than originally proposed, giving Brasil to Portugal. Not long after, the Portuguese found their way through the sea to India and the rest of East Asia, establishing the first global economic empire. So that’s how the new story of Colón as a Portuguese spy in the Spanish court goes. The entire thing was a secret mission between Colón and João II, who were actually great partners rather than arch enemies. The Portuguese already knew there were lands to the west. They already knew they were about to find the sea route to the east. They were the most advanced navigational country of the age and had secret knowledge through the many historical navigators that had passed through Portugal, as well as with the information gathered from João’s vast and intricate network of spies. As far as Colón’s origins… Rosa claims that Colón was a Portuguese noble who was actually the son of deposed King Vladyslaw III of Poland, who lost the Battle of Vienna to the Ottomans, and was exiled to Madeira. Other researches claim that Colón’s noble heritage come from being the illegitimate grandson of João Gonçalves Zarco, the Portuguese navigator who co-discovered Madeira. All historians supporting the new theory agree that Cristovão Colón was just a code name. They all agree that he was part of (as most Portuguese high nobility was) the infamous Order of Christ… the successor branch of the Templar Knights who were known to be great treasure hunters, as well as very secretive themselves. 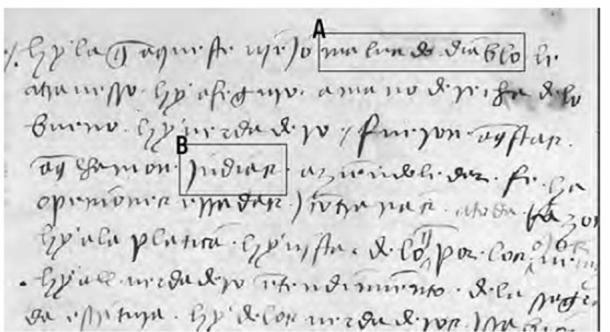 Everyone agrees that Colón always signed his name in code, and never wrote in Italian. This new story sounds quite outlandish to many…. perhaps wishful over-analyzing by conspiracy theorists, but there is actually quite a bit more solid evidence to support the new theory than there is the old story. We just all believe the old story because that’s what we’ve always been told… but there’s actually not a lot of documentation or archeology proving it. Now that you know the new story surrounding one of the most famous men in world history, hopefully you’ll consider the possibility that he may actually not be the man we’ve always been told that he was. He was not a Genoese wool-weaver who accidentally found an entire hemisphere, in spite of all his misgivings as a navigator. He was, in fact, a Portuguese noble and one of the most brilliant spies the world has ever known. Follow-up in PART 3 for the evidence behind the new theory of Cristovão Colón. 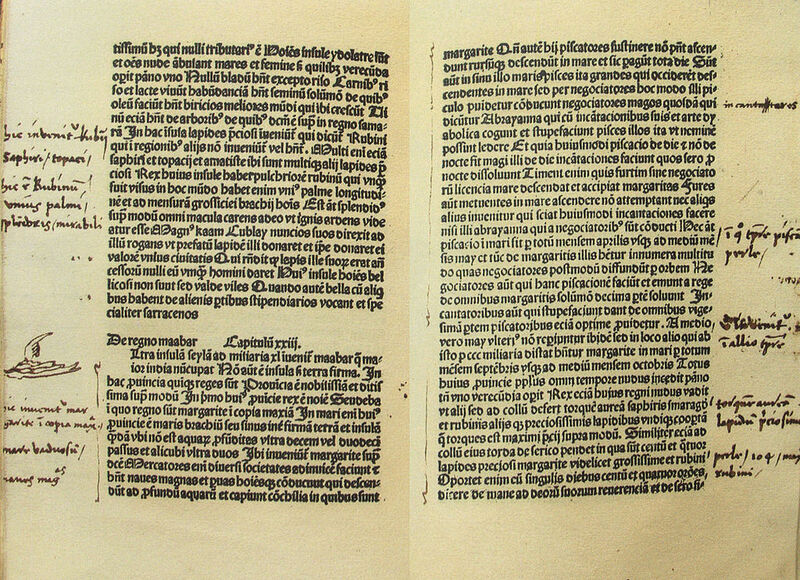 Colón’s copy of The Adventures of Marco Polo, with his notes along the margins. Where is Part 3, I’m in suspense! 😮 Obwas in Portugal this year and totally agree with your posts.